Alana joined GRSM in November 2015. She has been practicing since 2014 after graduating with a Diploma in Massage Therapy from the Canadian College of Massage and Hydrotherapy. Before this Alana completed her Bachelor of Science at the University of Toronto Graduating in 2011. 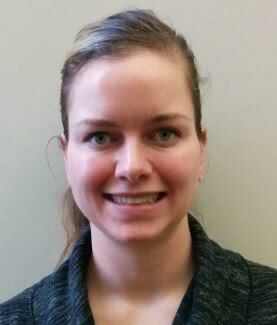 She has experience treating various types of sports injuries and athletes including long distance runners. Her background as a competitive athlete on the Canadian National Archery team from 2007-2011 allowed her experience and develop an understanding of how elite level athletes train and compete. Alana volunteered as a Massage Therapist for the Waterloo Running Series from 2014-2015 as well as Pan Am & Para Pan Am Games in Toronto. Her experience with archery has also allowed her to travel with the Para-Archery National team to Holland this past May, and hopefully many more locations in 2016. In her spare time Alana still enjoys archery, working out at the Stork Family YMCA, where she also volunteers, reading, listening to music, and participating in fun runs!